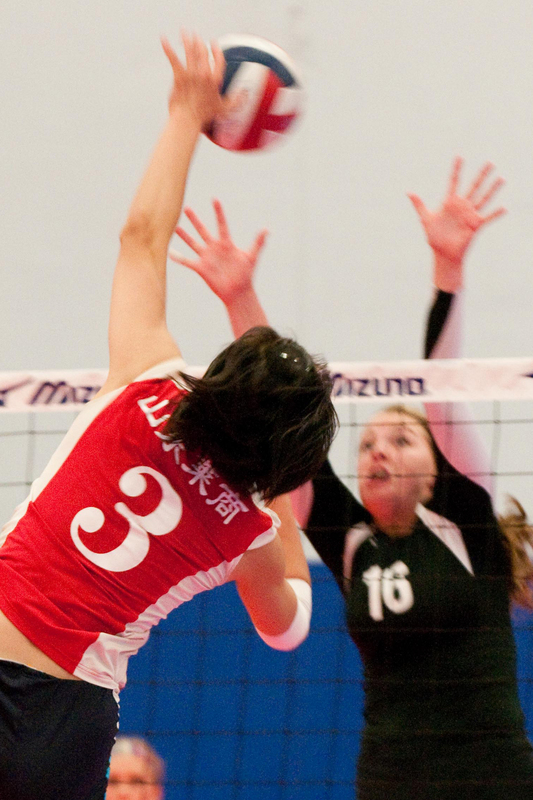 This summer’s pre-national volleyball tournament at the Great Lakes Center in Aurora, Illinois brought in dozens of teams from around the country. The gymnasium pulsed with the sound of simultaneous matches. Families, fans and other teams had to occasionally dodge errant spiked volleyballs. Thrown into this mix was a group of high school aged Chinese nationals who were training at the center for the month. I was curious about this team of tall thin players with close cropped, bob style haircuts. The gym reverberated with shouts, cheers and whistles which made it impossible to hear what any of the team members were saying which made it easier to focus on the difference in playing styles. Besides being consistently taller than the other teams, their style seemed to be for lack of a better term, more businesslike. They were clearly happy and excited to be there, but their play and celebrations between points seemed more reserved and serious. The coaches appeared to be more distant and focused on fine-tuning technical aspects of their young charges, as opposed to cheering and encouraging them along the way. I was reminded again of these athletes when I read about the Chinese government’s medal goal in the London Olympics, called Project 119. The plan is for the Chinese delegation to win medals in 119 events. I wondered what kind of life awaited these athletes once their American tour was finished. Having lived in Seoul, I’m familiar with the crushing social pressure to succeed leading to all day and all night cram sessions. It wasn’t unusual to see students still in uniform dozing on the bus home at 11pm. Then I read about some of these young Chinese athletes who hadn’t been home for more than a handful of days during most of the last decade, missing birthdays, holidays and the passing of loved ones. One of coaches at the Great Lakes Center laughed a little when he mentioned how these girls would jump at the opportunity to go out for fast food, or shopping after training all day. Maybe, knowing that in a few short weeks they would go home to a strict, government-controlled program that could lead to them being labeled either a hero or a national disgrace…they decided it was time for a cheeseburger.